Have you discovered that most traditional paint finishing systems aren’t meeting the unique needs of your company? IntelliFinishing has flexible solutions that are anything but conventional, and we offer features that the traditional systems can’t compete with. Those with experience in manufacturing understand the bottlenecking that can occur during the finishing stage. The process of painting parts and components seems to crimp workflows and create delays that throws a wrench into your production schedule. Greater efficiency is crucial for achieving a fast and agile operation and finishing without compromising quality. IntelliFinishing’s advanced technology can help optimize the way you finish, providing consistent, exceptional quality so that your business can remain competitive. Old paint systems are out; new smart controls are in! 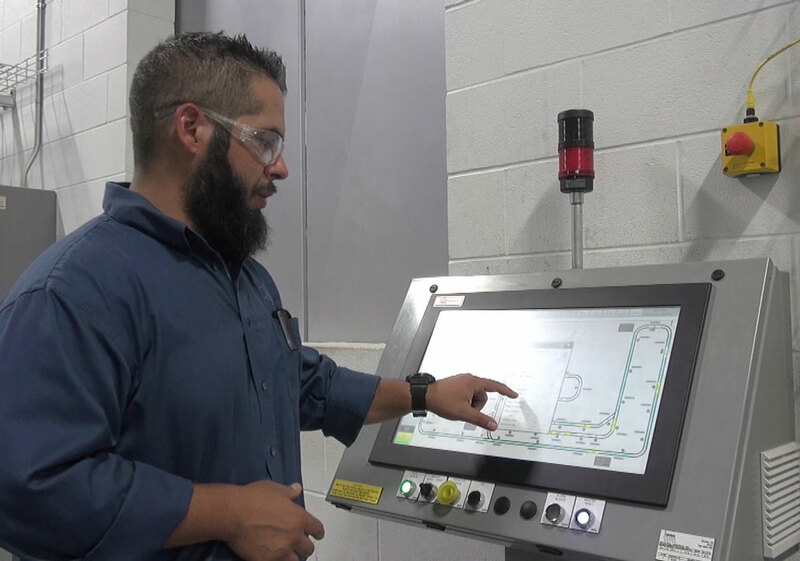 As the name suggests, smart controls are advanced, digital tools that allow users to monitor and track parts, as well as provide insights to identify problem areas within a finishing process. Technology can pinpoint each part as it moves along the conveyor, as well as logging its weight, description, current process, previous process and the specified finish color. Smart systems provide a treasure trove of useful analytics. You can utilize this valuable data to identify bottlenecks and optimize your process. An intelligent system can also generate production reports that you can review, print, share, and evaluate. It logs historical production and process data so management can use the resulting reports to compare shifts, schedules, processes and the work of employees. Applying a finish is much like baking a cake or cookies. It starts with having a desired recipe for the part from pre-finish steps, through paint, and ultimately to post finish steps such as cure, cool down and unloading. However, not every part finished should have the exact same recipe for optimal finishing. With a flexible automated finishing system, formulating, changing and applying recipes is as easy as a few keystrokes when using smart HMI controls – making it far more efficient than traditional paint and powder coating systems that rely on monorail conveyors or even power and free conveyors. An operator can input and review recipes on an intuitive display screen, and ascertain information such as Process Times, Production Rates, Order Status, Specific Parts per Carrier, Average Parts per Carrier, Load/Unload Efficiency, Blast Timing and Pressures, Wash Stage-Trends (temperature, pressure, titrations, duration and processes applied), Dry Oven Trends, Prime & Top Coat Trends and Cure Oven Trends. The system helps to identify errors before problems arise. For example, if a stage in your production list fails to meet the parameters of the recipe entered, smart controls flag it so you can remedy the issue before a finish has been applied. Smart controls make finishing fast by allowing multiple parts to be painted on a single system. Users can key in recipes that can be specific down to the part, and the system allows tracking of individual components. With IntelliFinishing, not only will your operation enjoy a fast and optimized process, but the system also ensures quality by reviewing connected environmental conditions, particularly helpful for CARC processes, or integration with other ERP or database driven systems. Historically the finishing process has sometimes been a problem area in a manufacturer’s workflow, but not anymore. Through the integration of smart controls, IntelliFinishing stands out from competing systems, offering a faster way to convey parts through paint stations, maintaining exceptional quality and accumulating data to make your operation the pinnacle of efficiency. To see our smart controls in action, click here!